After dropping out of Wits University in South Africa in 2011 due to financial constraints, Tikhala Itaye worked to support her studies. Her father was going through some challenges at the time and her siblings were still getting their feet off the ground, establishing their careers and could only support her when they could. When her father died in 2011, she developed a keen interest in Namibia, so, she applied to the University of Namibia, where the fees were reasonable, considering that it is not so easy to get into the public universities in Malawi. 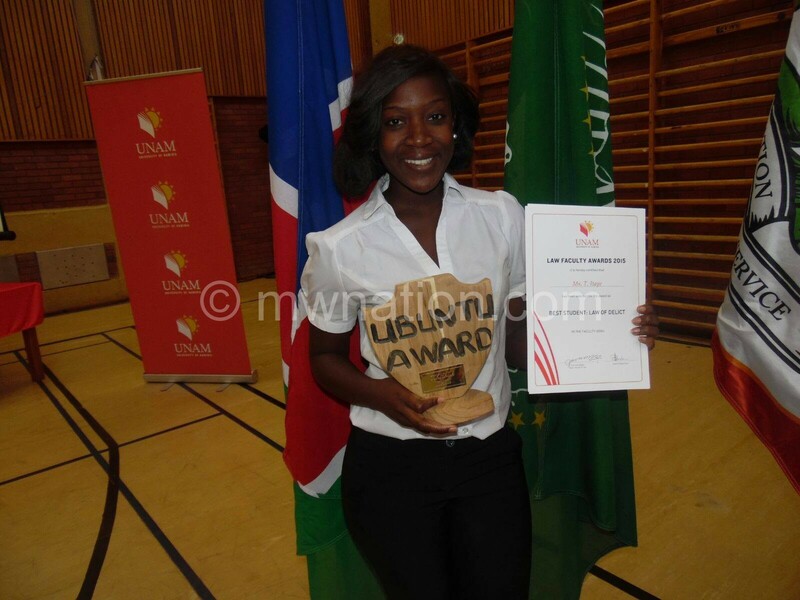 Tikhala was accepted and started studying Law at the University of Namibia in 2012. Still faced with financial challenges, however, she got two part-time jobs. “I worked as a waitress and as a baby sitter on weekends. That, coupled with support from my family, I completed my law degree. I remember crying when I was in my third-year, thinking to myself; ‘will life get any easier?’ At times, life got harder, but I had a dream I was pursuing and I knew I had to keep fighting,” she explains. Despite all the hardships, Tikhala still had time and the will to do something for others. In her first-year of university, she and two friends founded Liberty, an organisation meant to empower girls and young women. “This organisation was a result of issues faced by girls and their lecturers at the University, such as girls being asked for sexual favours in exchange for marks. There were also issues of girls being killed and abused by boyfriends; women going through sexual harassment at work and single mothers struggling to support their children. I felt that as women and girls, we could not be silent anymore. We needed to speak out!” she says. She was appointed into the student representative council as community development officer. Through that, she organised and led a national march in Namibia in 2014 against gender-based violence (GBV), a campaign to promote love. “From there, my journey in social justice for women and girls, helping communities and youth development began,” she says. Tikhala was later appointed national co-ordinator of African Youth and Adolescent Network (AfriYAN) Namibia. AfriYAN is affiliated to the Namibia National Youth Council and United Nations Population Fund (UNFPA) that co-ordinates youth-led organisations on issues of gender, health and youth development. She later became president for the Eastern and Southern Africa AfriYAN, coordinating youth-led organisations in 21 countries. In 2015, she was awarded the Ubuntu Award at the University of Namibia. Ubuntu means human kindness and it embodies ideas of connection, community and mutual caring for all. She graduated and moved back to Malawi in 2016 and was immediately offered a job under a Global Fund regional programme. 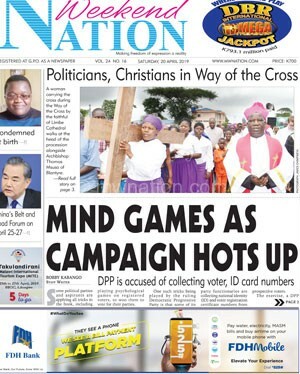 She went on to establish the Malawi version of Liberty and called it ‘HeR Liberty’. 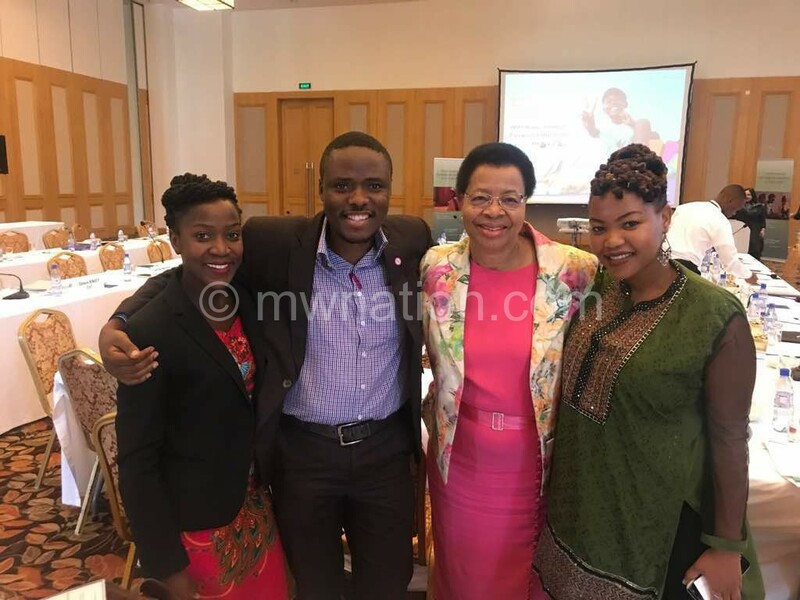 She works with both girls and boys; enabling and supporting them to be self-sufficient and productive change agents in society It might seem like all the work she has been doing in the past six years was preparing her for her appointment to the role of chairperson of the She Decides Global Movement. The initiative aspires to a world where every girl and woman is free from oppression, coercion, harm and is able to access the full range of life-saving and life-affirming health care when needed. It followed that after attending the launch of She Decides Global Movement in Brussels, Belgium last year, she was appointed champion of She Decides six months later. This was in recognition to all the work she was doing for girls and young women in different communities. Few months later, when they were putting the governance in place, She Decides’ founder, Lilianne Poulmen, who is also former minister in The Netherlands, supported Itaye’s appointment as chairperson of the movement. “This was the most shocking news because being African, young and a woman, I never thought I would ever lead such a global political platform,” she says. While confessing that she has not had an easy life, Itaye attributes her success to hardwork—sleepless nights, reading and researching. “Faith kept me going as well. The hardship I faced when I lost my parents got me to see life differently. Most importantly, I needed to work hard and motivate myself to go for what I wanted to achieve,” she says. Born on August 14 1989, Tikhala is the youngest of seven siblings. Growing up in Zomba’s Mussa Village, she lost her mother at the age of seven and was raised by her father for about five years. Her father remarried when she was 12 years old. “My stepmother was God-sent. She is one of the reasons I am who I am today. She is that woman in my life that always told me to work hard and be wise in the choices I make. And one of those wise choices was to work hard in school, pursue my career and to put God first in everything,” she explains. Growing up, she was always that girl that pushed herself to the limit to get her father, the late Bilison Itaye’s affirmation. They moved out of Malawi when she was 13 years of age and lived in South Africa before moving to Zimbabwe four years later. 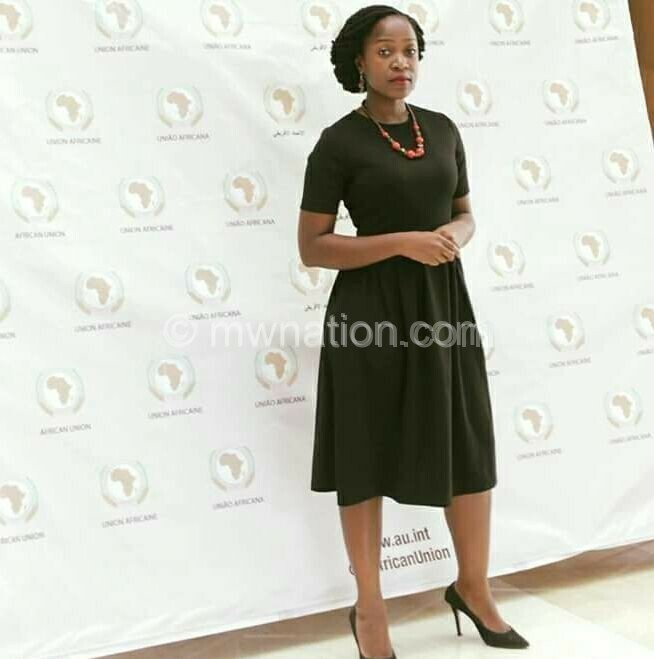 In 2008, Itaye was awarded the National Public Speaker in Zimbabwe and was invited to participate at the World Public Speaking competition in Germany. “I guess this is when I realised I had a voice to speak out on matters that affect us in society. I was always so concerned by the problems around us such as poverty, GBV, war, unemployment, teenage pregnancies and child,” she says. In her final remarks, Itaye points out that people can do more together than as individuals. “I have noticed that in Malawi, we do not have an attitude to work together and support each other. My wish is to become a united nation that cares for people and their needs,” she says.